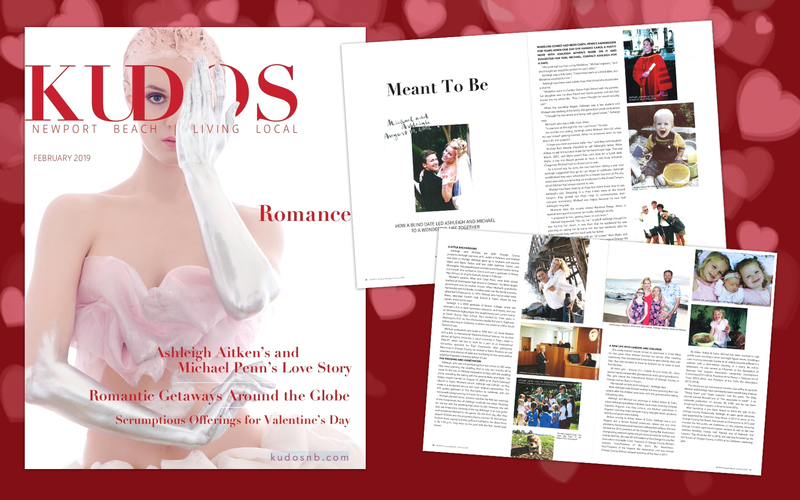 Just in time for Valentine’s Day, KUDOS Newport Beach published the story of how a blind date led Ashleigh Aitken and Michael Penn to their happily ever after. Aitken Aitken Cohn partner Michael Penn and of counsel Ashleigh Aitken have shared 18 joyous years and 3 beautiful daughters together, but how did it all start? Was it love at first sight? Flip to Page 35 at the issue below to read their entire story and find out a few things you may not have not about these two powerhouse attorneys and how their worlds collided. Aitken Aitken Cohn named Top Lawyers in the Inland Empire by Inland Empire Magazine – 3rd Year in a Row! Serving Santa Ana, Los Angeles, Beverly Hills, Burbank, Glendale, Hollywood, Malibu, Manhattan Beach, Palm Springs, Pasadena, Redondo Beach, Ventura, Santa Barbara Long Beach, Huntington Beach, Orange County, San Diego County, Los Angeles County, Riverside County, San Bernardino County and the Inland Empire, Southern California. “No question about it, this firm is 100 percent reliable and trustworthy. I felt very comfortable about continuing my case with this firm based on the first impression they gave me: professional. My attorneys were world class. Thank you to all the staff and attorneys at Aitken Aitken Cohn, you have all helped me move past my matter.” - Jose L.